This, my friends, is the power of free samples in action. I think I saw a three or four page taster of this issue either in the back of another comic, or perhaps in Previews, but either way I was sold. 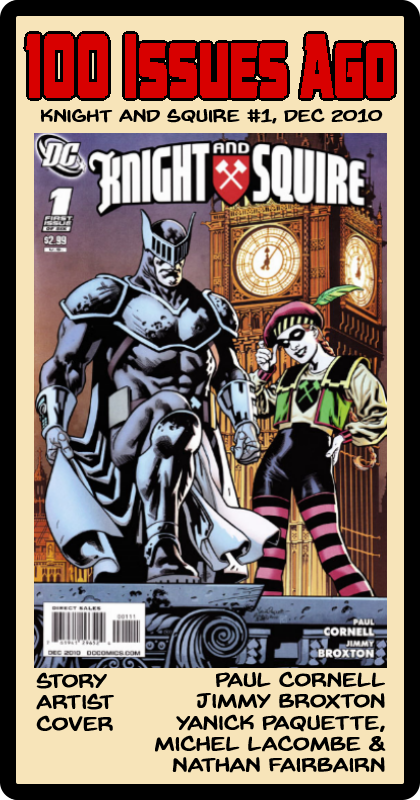 I know nothing by Paul Cornell at the time and only had a vague idea of who Knight and Squire were thanks to some appearances in JLA by Grant Morrison, but the humorous tone – and decidedly British humour as well – displayed in the sample worked a treat for me so I picked this up. I believe it’s been collected and if you haven’t read it but like your superheroes occasionally funny, then go for it.